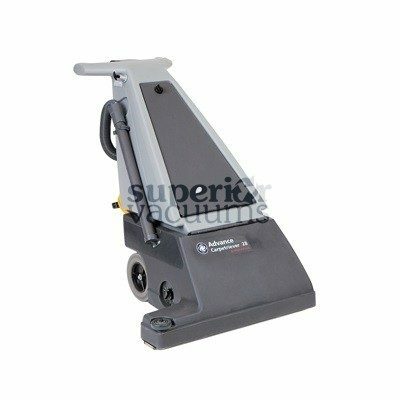 Designed for large carpeted areas, the CarpeTriever 28 thoroughly vacuums a 28-inch (71 cm) path in one pass. No need for repetitious back and forth movement. The CarpeTriever maneuvers easily around obstacles. 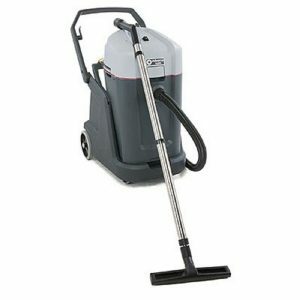 Its motorized carpet brush helps propel the machine, minimizing operator fatigue, and it adjusts to any carpet pile. The chevron bristle pattern draws dirt to the vacuum intake for efficient cleaning. 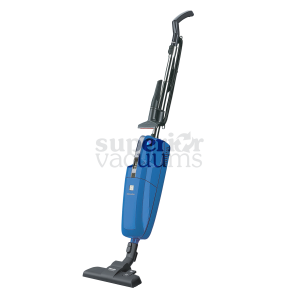 The dual 1-18 hp vacuum motors provide generous pick-up power for thorough cleaning. Both motors are protected from dust by secondary filters, which remove easily for cleaning and inspection. An optional Microstat© filtration kit provides 99.94% effective filtration of 0.3 micron particles. The standard cloth filter and collector bag on the CarpeTriever is big, holding over 1 bushel (39.5 L), and yielding more productive cleaning time. Paper bags are also available, and a hinged access door gives easy access to change or empty the bag. 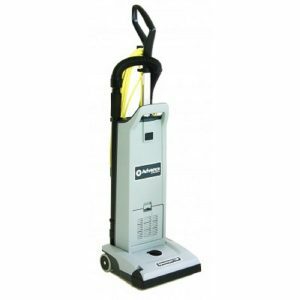 Simple fingertip controls make operation easy, and a built-in hose and wand on the CarpeTriever adds convenience for off-the-floor cleaning.